Finsterwalder have released a safety notice concerning Charly Quick-Out carabiners manufactured in 2015. When setting up the production of the Quick-Out release buttons in January 2015, about 20 release buttons of one side were produced incorrectly. Some of these release buttons were accidentally mounted and at least one such faulty Quick-Out carabiner was put into circulation. 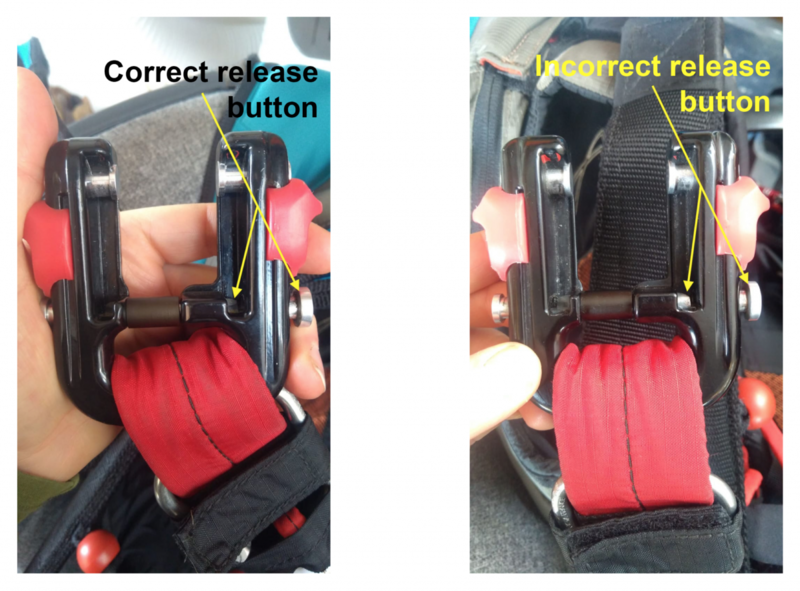 The error eliminates one of the 4 security levels: To open the carabiner, it is sufficient to press only the correct release button instead of pressing both release buttons simultaneously.